It’s spring/summer here! I know right – lovely weather, cold and sunny at the same time. Time to go around the country and visit beaches. But as a Master’ student, spring brings with it, a very important schedule – the busy task of applying to jobs. While people say it’s a rudimentary boring task, it is not. It can be interesting, if done with the right attitude and with friends. So no procrastination fellas! I am now going to clear all your doubts and hesitant attitude regarding recruitment now 🙂 . So, people back home, in India, would definitely have asked you this question when you chose to study in the UK – But do you have a guarantee of getting a job? I say that nowhere in the world, are you guaranteed a job. It’s all about trying determinedly and being aware of the opportunities and using them. You are not guaranteed a job in USA, Singapore, Australia, New Zealand, Europe or anywhere else that people from India usually go, for their masters. 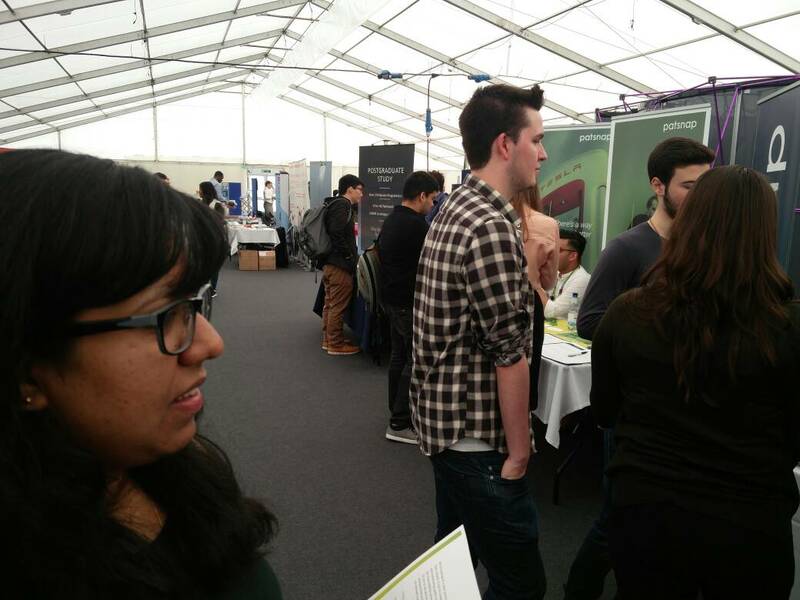 I am happy to say that at Surrey, there are loads of recruitment and career fairs, which provide opportunities and ideas to the students here. 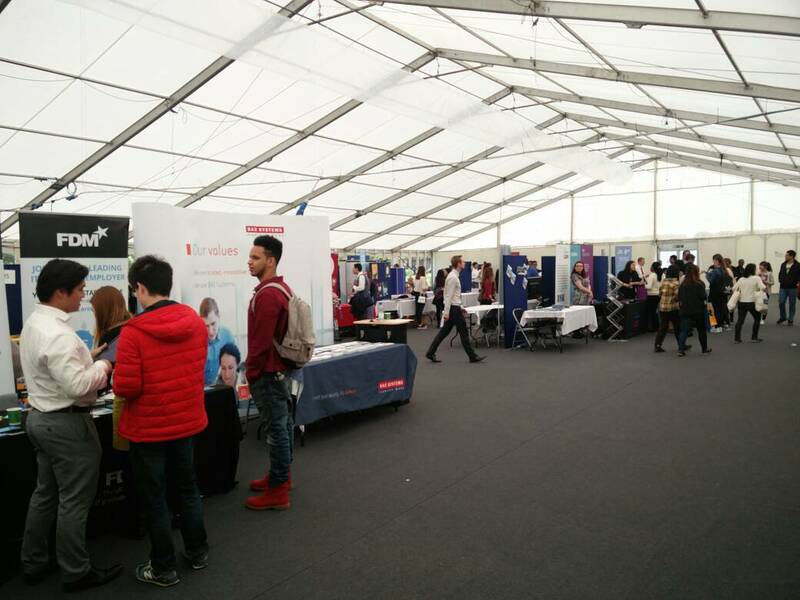 University of Surrey had very good partnerships with a lot of companies, which specialize in all the fields that are courses here. Also, the university has a dedicated Career services that help students with career counselling, advice and provide contacts of various companies. It is best to consult with them regarding your CV, type of job, application process and just about any other query. At the fair, you will meet officials from a lot of companies, interact with them and inquire about job vacancies. 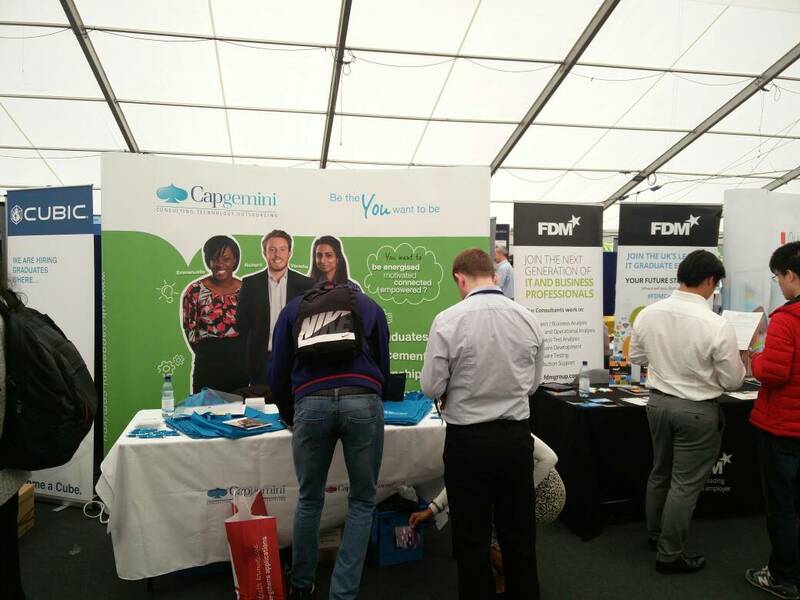 Some companies will ask you to apply at the fair itself and others will ask you to apply through their website and quote the fair in the covering letter. So, in short, applying to jobs is not a frightening task, it’s just a meticulous work. And when you are abroad, especially in the UK, you need to keep trying and apply to as many jobs as possible. Nothing is impossible. My friend who studied at Surrey last year, has two job offers with great companies situated in the heart of London – near the Tower Bridge and Business parks. Keep that fear out and know that you can get a job here. It’s about as tough as tough as applying to jobs back home, in India. Here are a few pictures from the recruitment fair held on May 10, 2017. There were many popular companies- local and multinational companies and I am not gonna list them here because the companies that grab my interest might not be for your field. Please don’t hesitate to mail us at india@surrey.ac.uk and we’ll answer your queries.